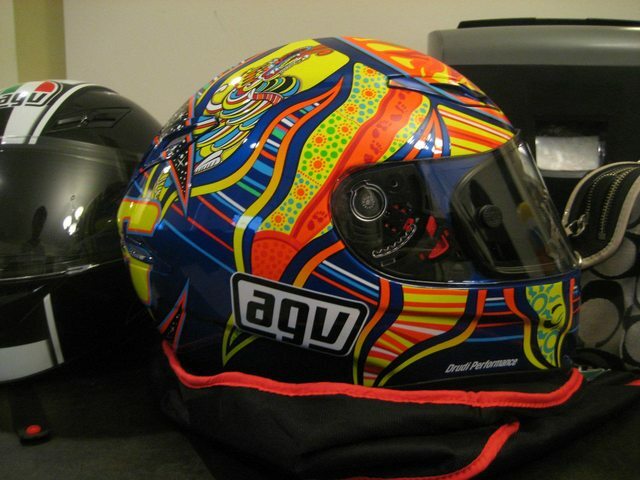 For you motorcycle riders, I am looking to sell my AGV GP-Tech Five Continents Rossi Replica helmet for 400$. Prefer local pickup but will ship for a small fee. I work in DC and can meet within the GWU area. I am located in Maryland. This helmet is AGVs current top of the line helmet model. The attention to detail is top notch and the helmet looks great, all the time. Helmet was worn for half a season and was never dropped. Helmet does have a light scuff mark on the bottom of helmet. I will get a picture of that when I get home. Helmet Specs pulled from RevZilla. Someone buy this! If you have a buddy who is looking to buy an awesome helmet, please pass this forward.